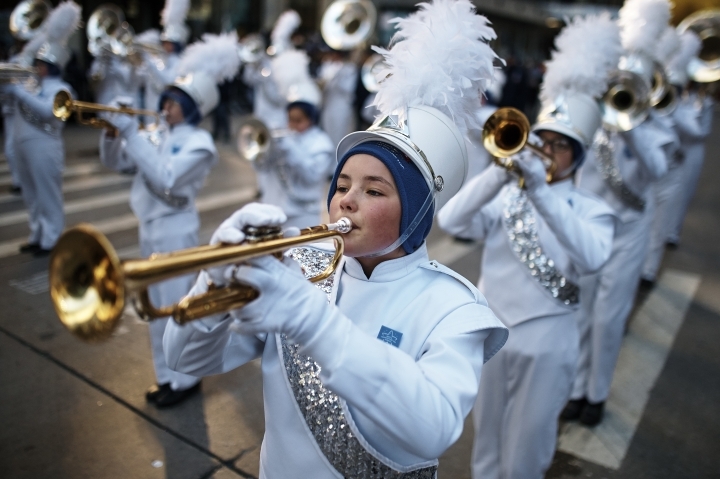 The balloons flew lower than usual, performers bundled up, and spectators wrapped themselves in blankets and sleeping bags, but blustery cold didn't chill the enthusiasm at the Macy's Thanksgiving Day Parade. 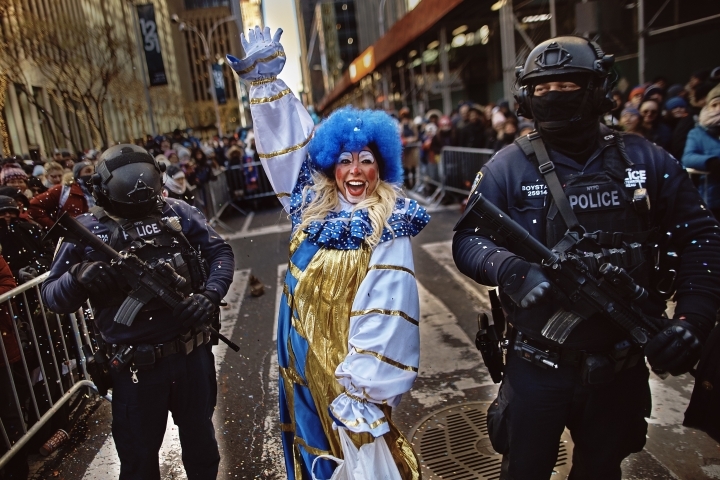 The balloons flew lower than usual, performers bundled up, and spectators sported blankets and sleeping bags, but blustery cold didn't chill the enthusiasm at the Macy's Thanksgiving Day Parade. The balloons and the bands are braving the blustery cold to make their way through Manhattan for the Macy's Thanksgiving Day Parade. Giant balloons of Charlie Brown, Sponge Bob and others were cleared for takeoff just before the parade started with some of the coldest temperatures in the event's history. Some of the balloons were flying just a few feet above the people who were holding their tethers. 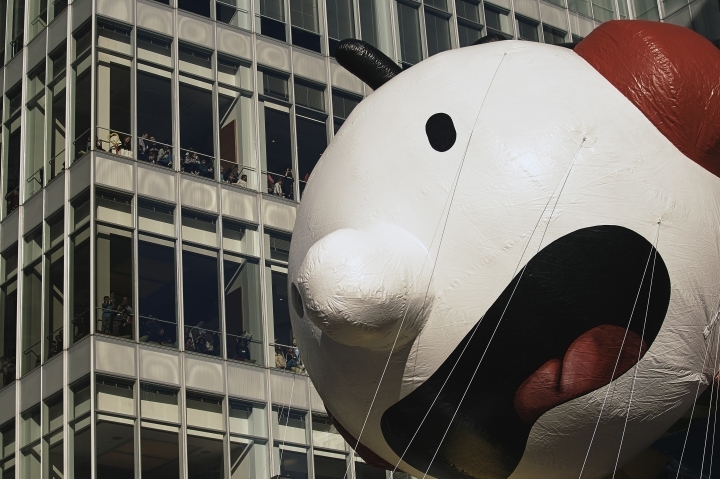 The outstretched hand of the "Diary of a Wimpy Kid" balloon appeared to hit some of his handlers on their wool cap-covered heads. Bystanders are braving the cold with blankets and sleeping bags to make sure they see the Macy's Thanksgiving Day Parade in New York City. They're lined up Thursday along the parade route despite the frigid temperatures. 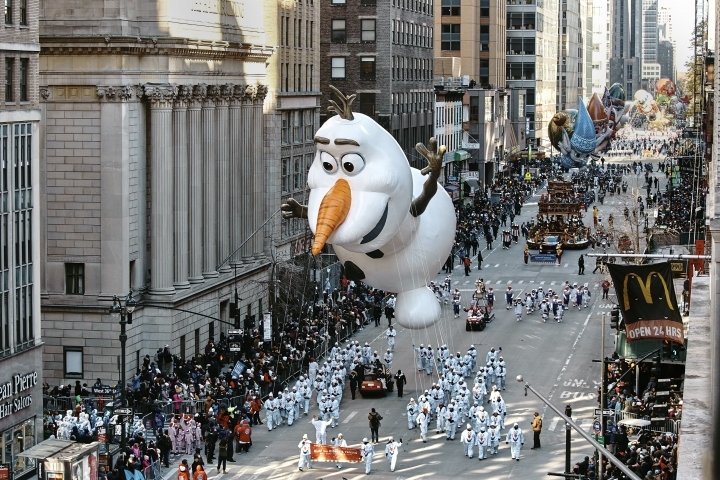 Forecasters say it could be the coldest day in the parade's history. He says he's "freezing and numb, but excited." Diana Ross might be singing "Stop! In The Name of Gloves" by the time she's done performing at New York City's super chilly Macy's Thanksgiving Day Parade. John Legend, Martina McBride and the Muppets from "Sesame Street" are also slated to perform in the frigid cold. Police say they're ready to order the 16 helium-filled balloons to a lower altitude or ground them entirely if it is too windy.